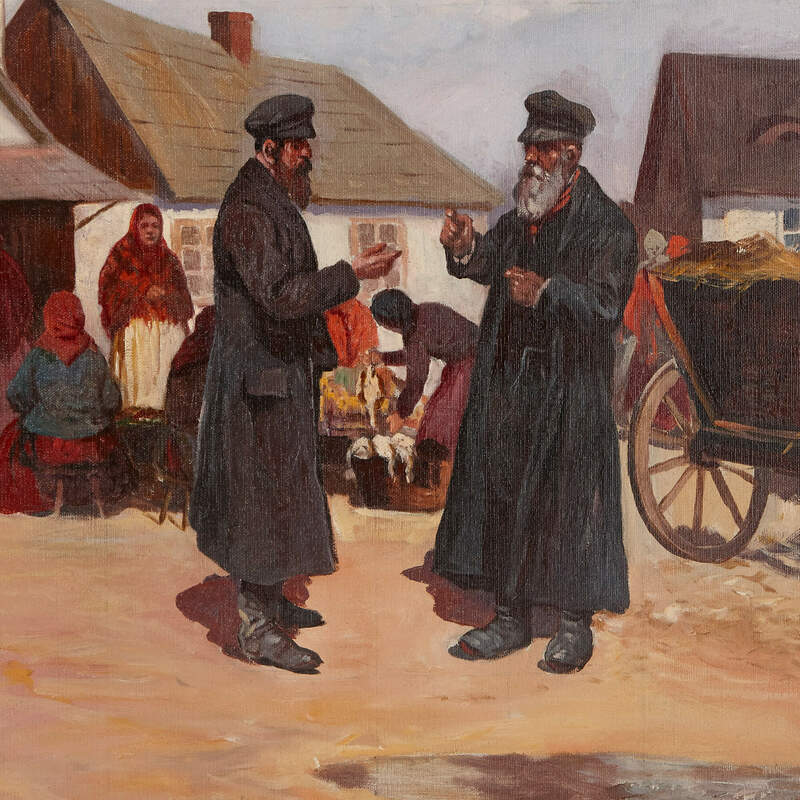 Full of vivid colour, detail, and life this fine painting of a Jewish shtetl scene is the work of the important Polish artist Stanislaw Maslowski. Artist Stanislaw Maslowski (1853-1926) was one of the most important painters of late 19th and early 20th Century in Eastern Europe. 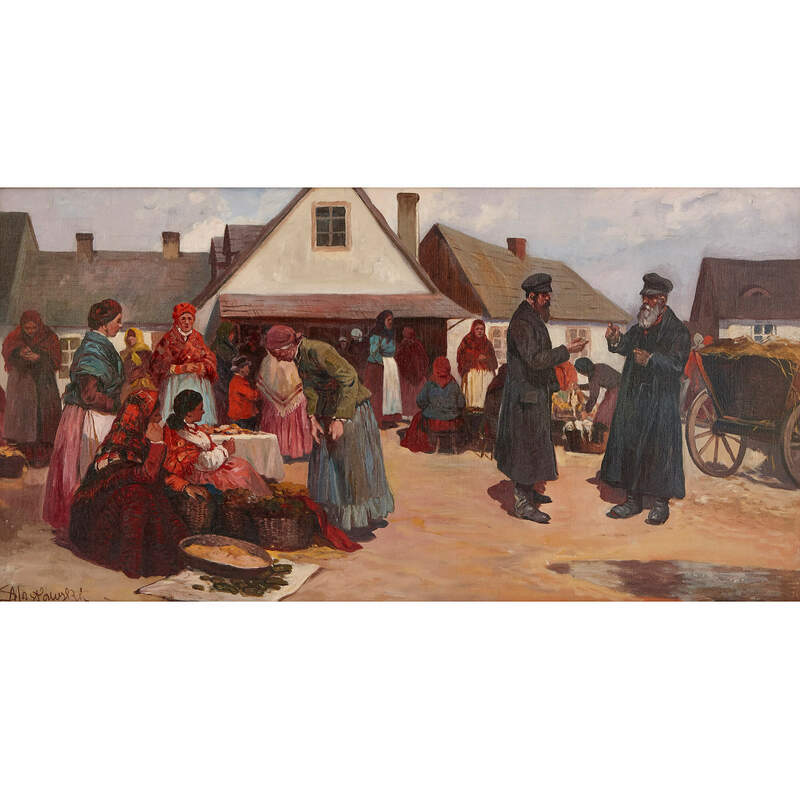 Prodigious from a young age, Maslowski started to gain recognition for his work at a time when the painting style known as Impressionism was rising to prominence all over Europe. Maslowski adopted many of the techniques of the new style, especially painting en plein air, but soon adopted his own distinctive style of painting. Maslowski travelled all over Europe, including to Italy and France, which gave him much of the inspiration for his work. 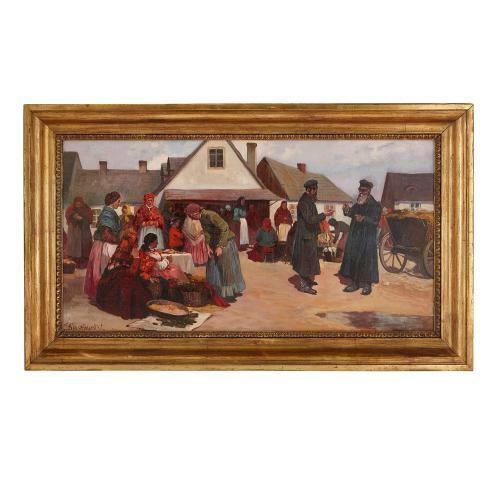 The present work came as a result of his travels in Eastern Europe, depicting a small shtetl town in the region of Galicia, today part of Western Ukraine. Maslowski's work included landscapes, town and city scenes, and sculpture studies, in watercolour as well as oil paint. 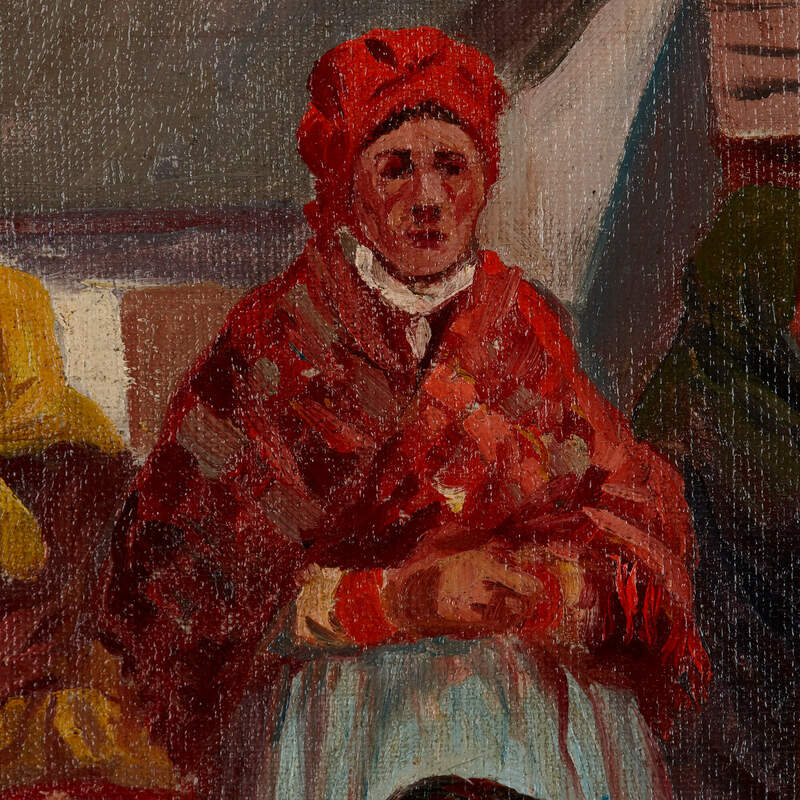 Many of his surviving works are held as part of the collection of the National Museum of Warsaw in Poland. This painting shows a market scene in a Galician shtetl- the name given to the small Jewish market towns and villages, dotted around Eastern Europe in the 19th and early 20th Centuries. 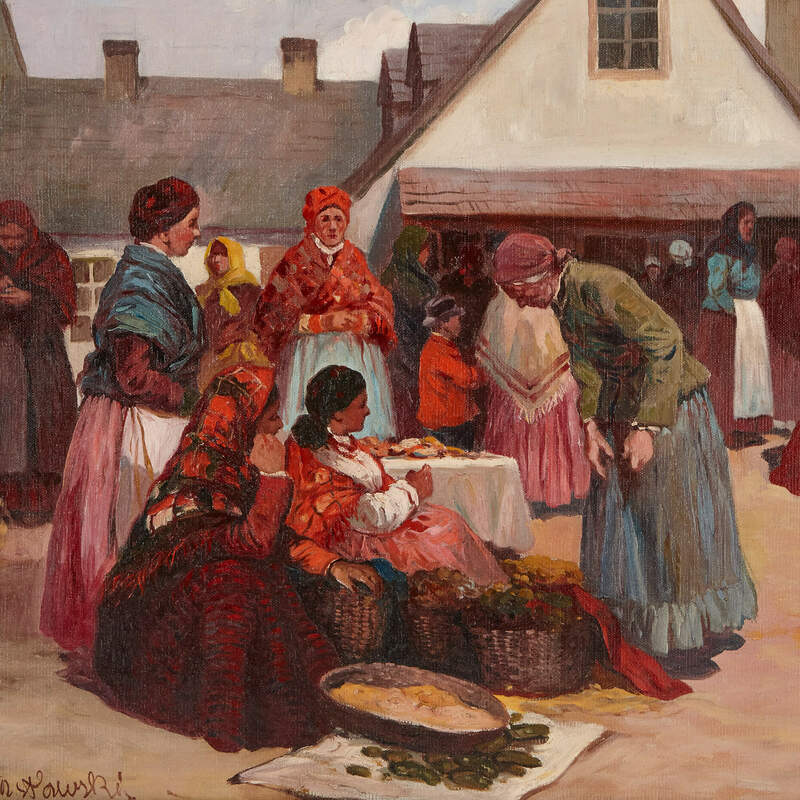 There are figures shown selling, trading and conversing, and baskets of goods and horse-drawn carts are shown throughout the scene. The painting is signed 'S. 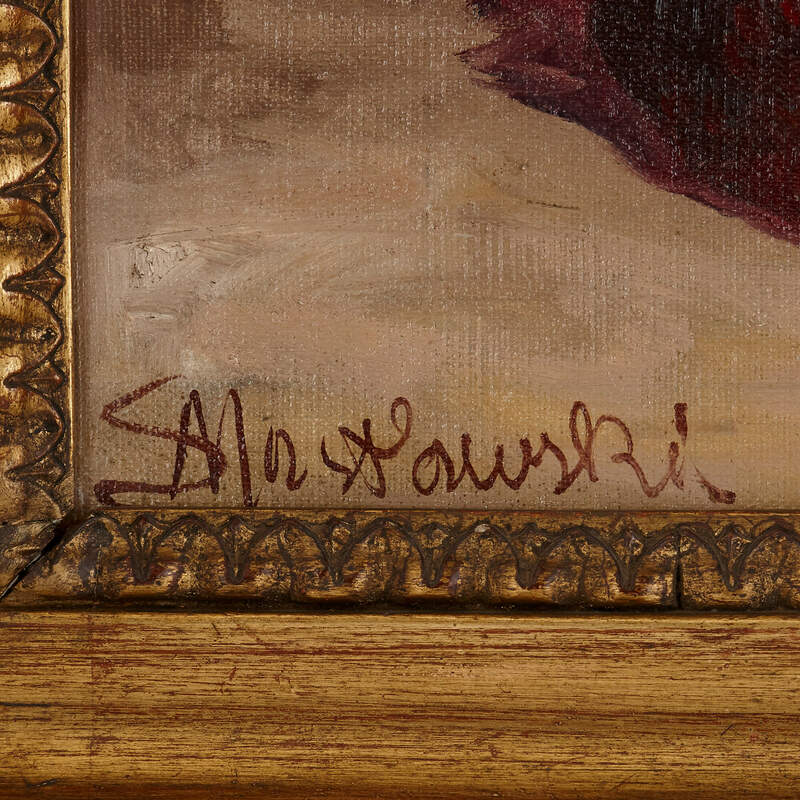 Maslowski' to the lower left and is housed in a rectangular giltwood frame.